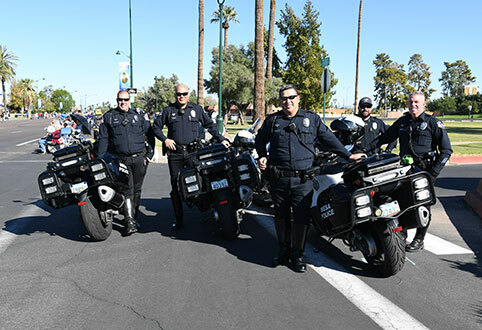 We are proud to offer the members of the Mesa Police Department a generous benefits package to complement the benefits they receive as City of Mesa employees. Benefits are extended to both sworn officers and civilian police employees. In addition to the benefits offered by the Mesa PD, our police officers and civilian employees receive benefits from the City of Mesa. Visit the City of Mesa website to learn more.